Marine scientists have been studying the negative impact of rising sea temperatures on coral for some time. Coral reefs have been diminishing, in part due to increases in water temperature which destroys the algae that symbiotically lives inside coral tissues. The loss of algae produces coral bleaching, a weakened coral community; and a totally dead reef is often the final outcome. 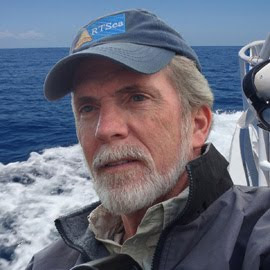 However, new research by Scripps Institution of Oceanography shows long term effects on Caribbean coral reefs dating back to the 1800s due to silt runoff and other terrestrial pollutants and overfishing - man-made impacts brought on by development of the islands throughout the Caribbean. 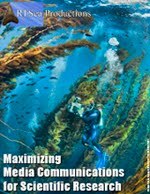 According to Scripps alumna Katie Cramer, now with the IUCN's Global Coral Reef Monitoring Network, “This study is the first to quantitatively show that the cumulative effects of deforestation and possibly overfishing were degrading Caribbean coral and molluscan communities long before climate change impacts began to really devastate reefs." Working off the coast of Panama, the researchers dug deep into several coral reefs to determine, using radio carbon dating and analysis of coral skeleton remnants, the types of corals that were growing as far back as the turn of the century. With coastal land being cleared for plantations, the resulting silt and other sediments that ran into the sea, combined with the heavy fishing taking place to feed a growing population, took its toll on the surrounding reefs. One of the significant discoveries was evidence of a shift or transition from branching corals, like staghorn coral, to more non-branching corals in response to changing environmental conditions. Non-branching corals, which are slower growing than branching corals, provide less habitat for many reef creatures and fish. With less algae-eating fish, coral reefs can be locked in a constant struggle for space with fast-growing algae. This can make the reefs more susceptible to the growing effects of climate change. 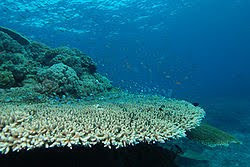 Interestingly, while Scripps' research shows that coral has been impacted by other environmental factors long before climate change became an issue, researchers from the Australian Nuclear Science and Technology Organization (ANSTO) and the University of British Columbia, writing in the PLoS ONE journal, have determined that some coral reefs might be able to better sustain an increase in temperature. Studying reef environments in the central Pacific, in particular the island nation of Kiribati, the researchers examined the coral skeletons and fat issues of corals in various areas and found that coral reefs that experienced greater temperature variance naturally have a greater potential for surviving the possible effects of climate change. The more consistent the temperature for a particular reef environment, the more adversely susceptible it might be to a change in temperature. 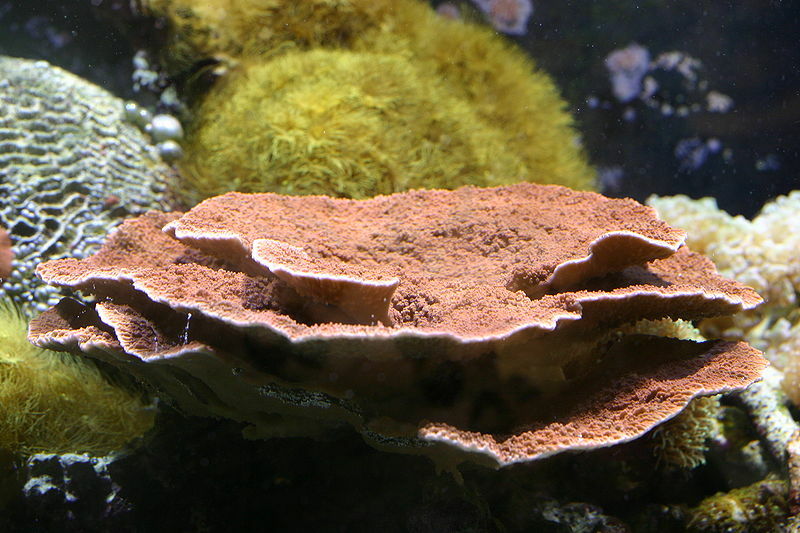 "We're starting to identify the types of reef environments where corals are more likely to persist in the future," said Simon Donner of UBC and a co-author of the study. "The new data is critical for predicting the future for coral reefs, and for planning how society will cope in that future." As an example, Kiribati is located in an area of the Pacific that can be hit with seasonal El Nino-induced heat waves and has a potential for weathering temperature changes, whereas Australia's Great Barrier Reef exists in a more uniform temperature range and therefore could be more negatively impacted. All this research points to the fact that coral reef environments will change and adjust as conditions change. Some corals will remain pretty much the same, while in other areas there can be transitions from one dominant species to another. Nature will do what it has to to try to survive in an ever-changing future. But what those changes are, what that future might be, as compared to the coral reef environments of years past - with abundant fish and animal life - is anyone's guess. And what it means to mankind in terms of a continuing resource for food, a barrier to stormy weather, or a contributor to healthy ocean water quality is at question.